This is a 17x33mm. solid 9k. 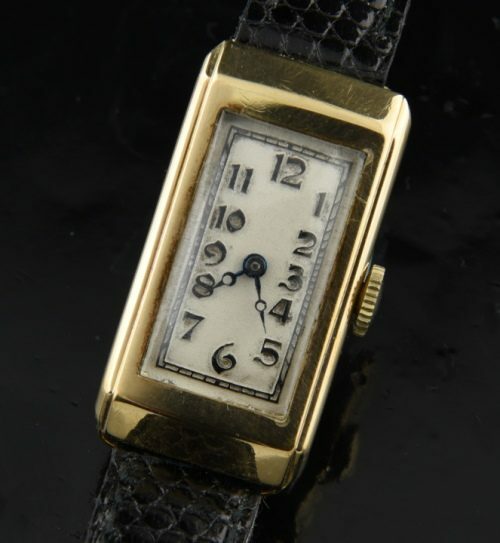 gold ladies 1930’s rectangular SWISS watch with unnamed (original) dial having blued steel hands and stylized raised numerals. This watch is NOT tiny, as are usually seen during this era; instead, is an easy-to-read size. The manual winding SWISS movement was just cleaned and accurate. 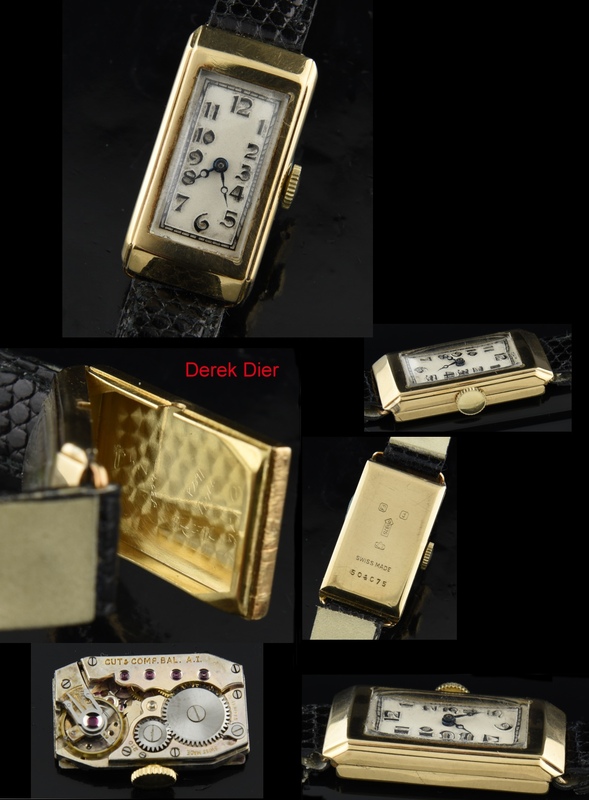 You have to see this fine vintage watch on the wrist…it looks very “Art Deco”.